Leyland Exports to the Rescue! 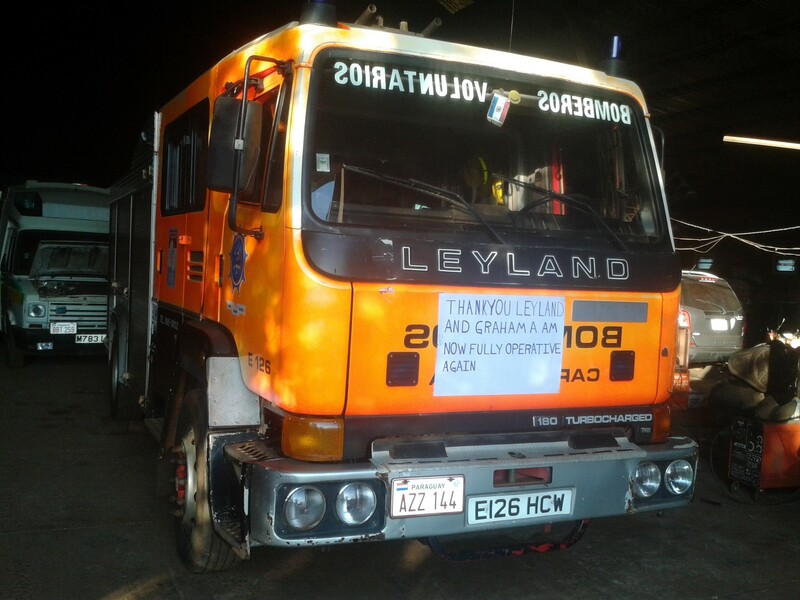 Graham Ward, Leyland Exports went above and beyond to sort a gear box replacement part for an old 1990’s Leyland fire engine in Paraguay. Check out the thank you he received. We have one very happy customer and one very happy truck!